The first trailer looks like it builds on the great work of the first two movies in the series. It is the feature trailer for War of the Planet of the Apes. It does seem to give a lot away about the plot but you can’t argue with the scenes and imagery they’ve chosen. Andy Serkis’ Caesar looks better than ever and the addition of Woody Harrelson as what seems to be the “villain” is an interesting choice. The music used to score the action is moody, while moments like Caesar with a gun to his head is very exciting indeed. On the other end of the spectrum is a trailer for a movie which couldn’t look more generic. I’m not sure who is calling for a movie about a 40 year old woman getting her “groove” back but here is another one. A trailer is supposed to sell the film and show that it is worth seeing but nothing about the trailer for Home Again shouts enticing or even original. Reece Witherspoon looks to be playing the same role that many other woman who get to her age do – the “I’ve still got it.” Uninspiring. 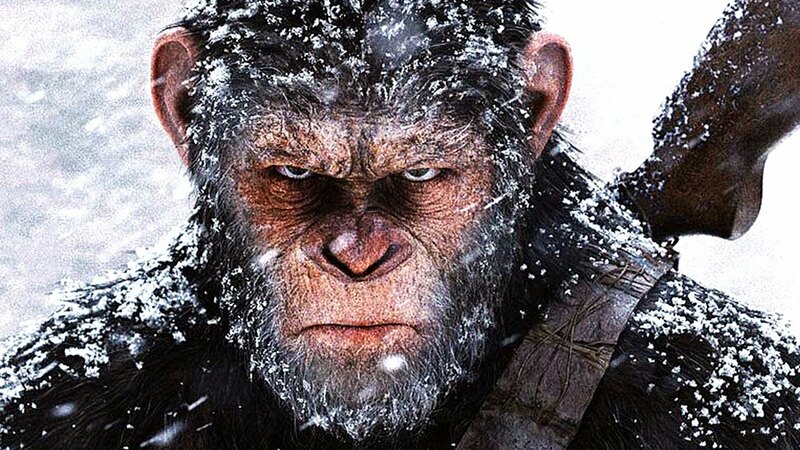 Overall, one action packed trailer full of ape action and plenty of promise while the other trailer shows that Hollywood is determined to churn out the same type of movie for the same type of actress. Have a look and let me know your thoughts.